A day without lipstick is a day without..... Well, I never want to know because I LOVE lipstick!! 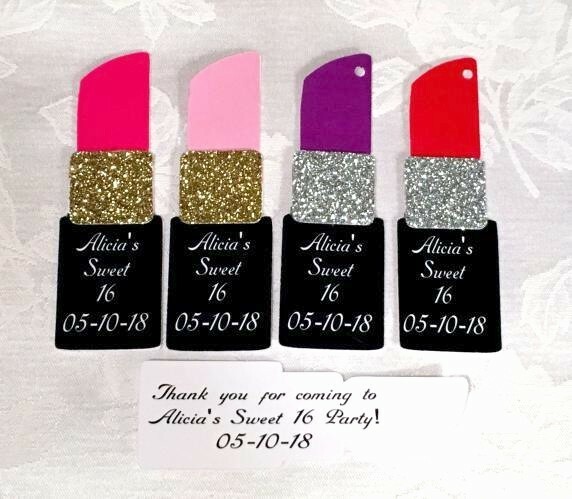 And we know your guests will love our personalized lipstick favor tags. You choose the shade and the tube's middle glitter color. And of course you choose what the front and bag of the tags say! Please allow us up to 5 business days to fulfill your order; add ship time. During bridal shower season more time may be needed.